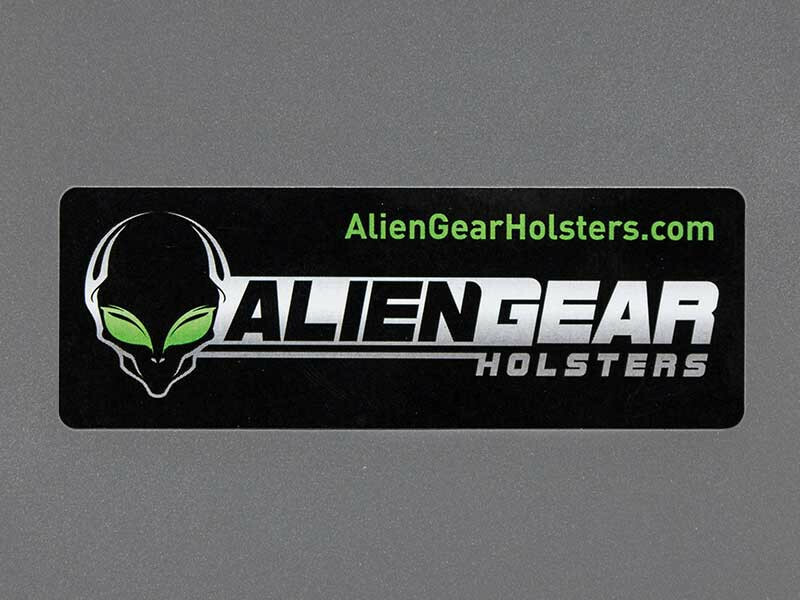 Show your support for Alien Gear Holsters on your vehicle with less sheen and more class in an attractive and eye-catching new bumper sticker. So if you’re a fan of our outside the waistband holsters or inside the waistband holsters, this is a great way to represent your loyalty to our American brand. Finished with a luxurious matte laminate, the 10.75’ x 3’ sticker acts as an accent to any surface it’s applied to. The laminate also extends the overall life of the sticker, making for unwavering durability through all the elements. Don’t hesitate to make your purchase, and represent your pride in the quality and comfort you can only find with Alien Gear Holsters. Purchase one for just $0.88 today!